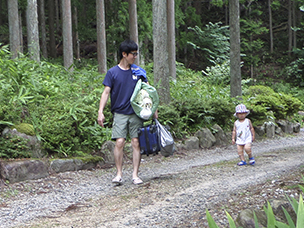 Takimi House caters to only one party a night, for your relaxed stay in quiet forest. 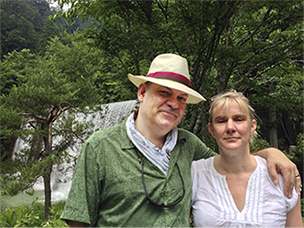 You are the only guest of Takimi House, with exclusive use of facilities, including the outdoor bath overlooking the waterfall. 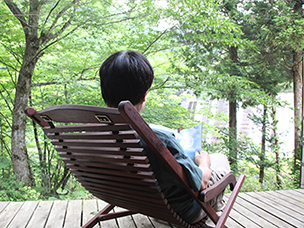 Enjoy both indoor and outdoor Hinoki wood tub. 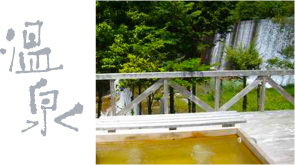 The outdoor hot tub overlooks impressive waterfall among deep forest. The constant waterfall sound will provide background music to your relaxed bath time. Takimi House master chef prepares exquisite cuisine exclusively using local foodstuff. 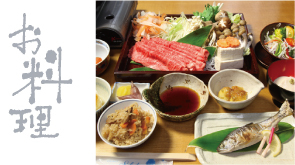 Your dinner will be served over Japanese style Irori open fire. 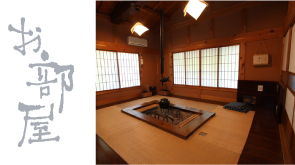 There are multiple Japanese style Tatami Rooms for your exclusive use; a living room, a bedroom, waterfall overlooking dining room, and Irori open fire dining room. You get to enjoy the entire facility all by yourself, as you the only guest for the night. Ask for optional lunch plan. 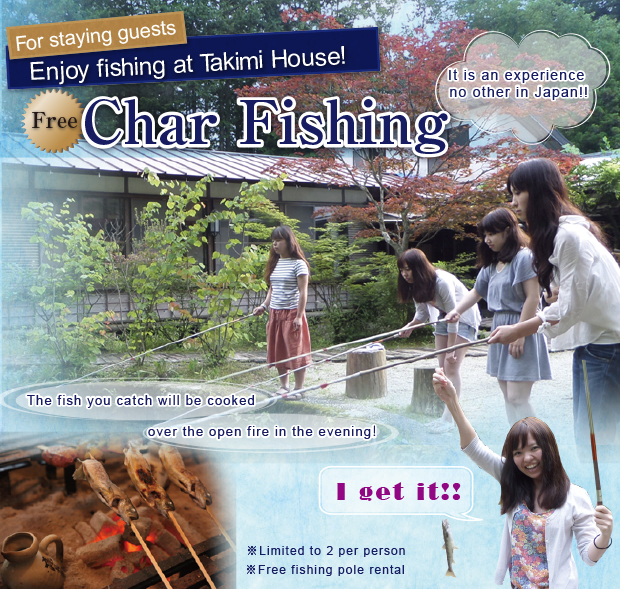 Enjoy char fishing in the Takimi House pond. The fish you catch will be cooked over the open fire in the evening. 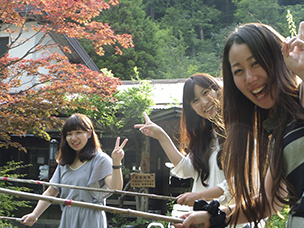 It is an experience no other in Japan. Takimi House will pick you at Nagiso Station. Please call or email ahead for pickup.